Those who do not live within the parameters of a big city frequently have no access to water pipes that are treated. Within some kinds of soil, there are minerals which can actually cause damage to water pipes. There are also special kinds of piping that can be used to keep those minerals from damaging pipes and polluting water. The city of Salisbury, NC Vision 2020, map depicts current & future water service areas . Some areas outside of the city do not have access to soft water. This is the preferred type of water and when a well only has access to hard water, water softeners can provide a fix. That does not mean that water used in major cities is not subject to pollution. That is often a result of some kind of chemical making its way into a public water supply. There are also issues that threaten well water in more rural areas. That causes the responsibility to shift to the homeowner. Testing that water is a critical part of the process. Some homes that have wells cannot be sold without proof that their water has been validated by a safety test. Water testing kits can be purchased in a variety of stores and are very simple to use. If a problem should arise, there is not always a reason to panic. Homeowners can administer their own chlorination procedures, which will destroy bacterial threats. Water supply is never threatened in a big city because there is an ample amount supplied by the water department. In more rural areas, homeowners rarely have to worry about their wells drying up. If the flow of water stops, it usually signals a malfunction in one of the well’s components. Therefore, homeowners need to be aware that, at some point, well maintenance services will be needed. 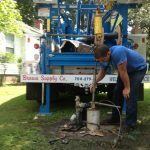 Brown Well Supply has the experience and expertise to provide homeowners with well digging and repair in Salisbury, NC and the neighboring communities. We offer a wide selection of well supplies and also specialize in well prospecting. 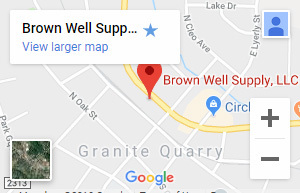 For the best well repair Salisbury, NC has to offer, contact Brown Well Supply today. Truth: The term soft water describes water that has a decreased level of ions. While there is a noticeable difference in the minerals that are in soft water, the difference does not show itself to one’s sense of touch. Myth #2: Water softeners create salty water within your home. Truth: There are slight traces of salt in water that is softened, although it is undetectable when it comes to taste. This is also just a minute fraction of the amount of sodium that is recommended for daily intake. The reason there are small traces is because a brine solution made of salt is what flushed out hardness ions from your system. Truth: Water softeners remove certain minerals from water and even can take out the iron. However, water softeners do not purify your water as there are some heavy metals that may still infiltrate the water. Myth #4: Soft water provides a fresher, cleaner taste. Truth: This may differ from one person to the next as taste varies among people. However, people do not purchase water softeners for the taste, unlike bottled spring water. The main benefit of water softeners is not in the area of consumption. Myth #5: Water softeners are expensive. 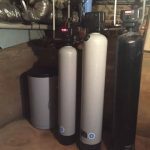 Truth: The installation of a water softener is relatively inexpensive with Brown Well Supply Company and there is also the need to consider how much it will save on energy bills. The cost of water heating can be reduced by as much as 1/3 of the previous cost. Also, half the dish and laundry detergent is required when using soft water instead of hard water. Myth #6: Softened water will damage septic tanks. Truth: Studies have proven that salty discharge from water softeners do not negatively impact septic tanks at all. Even any traces of salt have no effect on the functionality of a home’s septic tank. 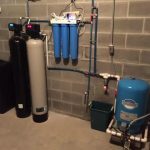 Now that you know the facts, are you ready to consider a commercial or residential water softening system? 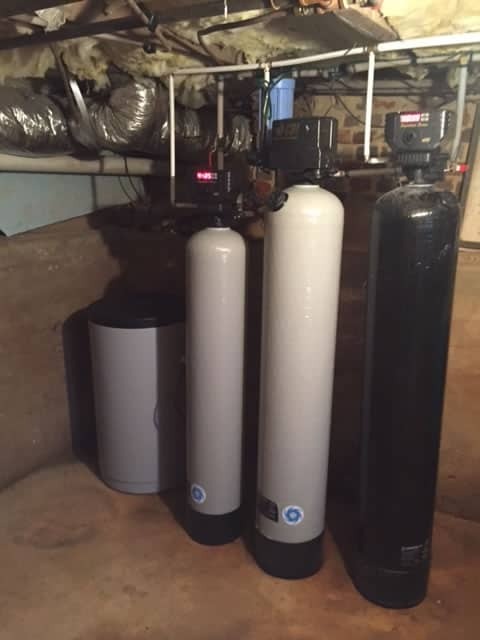 Brown Well Supply can add a water softener or water filtration system to your home or business and make sure the installation is done right. The professionals at Brown Well Supply also specialize in all types of well repair in Salisbury, NC and the surrounding areas. The Reverse Osmosis (RO) process ultimately results in the production of purified water which has the capability of extracting contaminants while also separating small molecules and ions. Essentially, the RO process is one that is capable of removing salt from salt water and turning it into drinking water. That kind of process can be applied to home based systems in which water is purified. 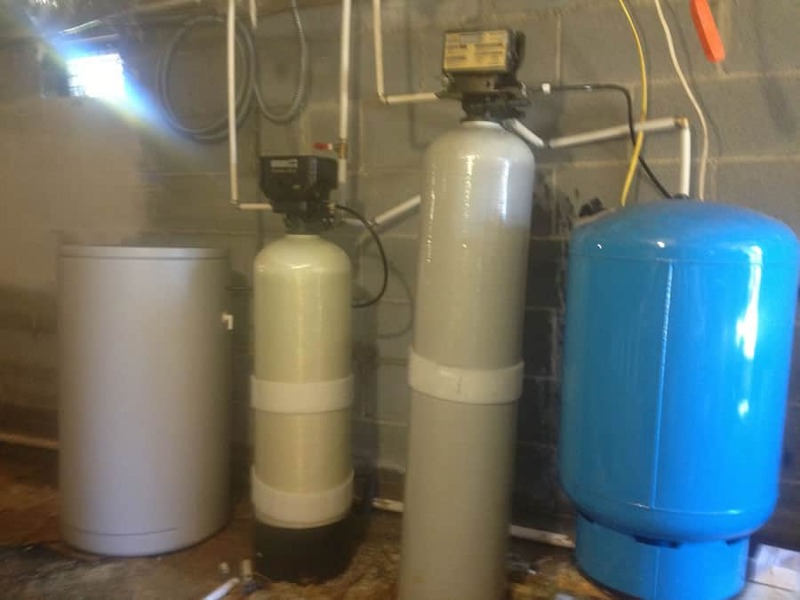 An RO system typically treats three different kinds of water: saltwater, fresh water and brackish water. Fresh water is considered tap water, or the water provided by a municipality. There are other water filtration systems on the market, so what makes an RO system so special? For starters, it is capable of blocking mostly all contaminants. Some water filtration systems claim to purify water, but they are not always able to remove all contaminants, such as calcium and carbonate. An RO system is able to efficiently purify drinking water and can also do so on a large-scale basis, which is a perk for businesses according to well supply companies. RO systems depend largely upon its membrane, which is essentially the heart and soul of the system and responsible for the purification of water. An RO system also contains filter cartridges which are responsible for keeping the taste of the water palatable. A variety of pumps are available and serve the function of controlling the pressure of water flowing throughout the system. Lastly, a control panel is used to manage the system’s various settings. Because there are a number of parts that are responsible for the purification process, maintenance may be a little more frequent with an RO system. Performance has proven to be very effective which is why this is a popular option in both the residential and commercial sectors. The process of filtration in an RO system also requires no additional energy. 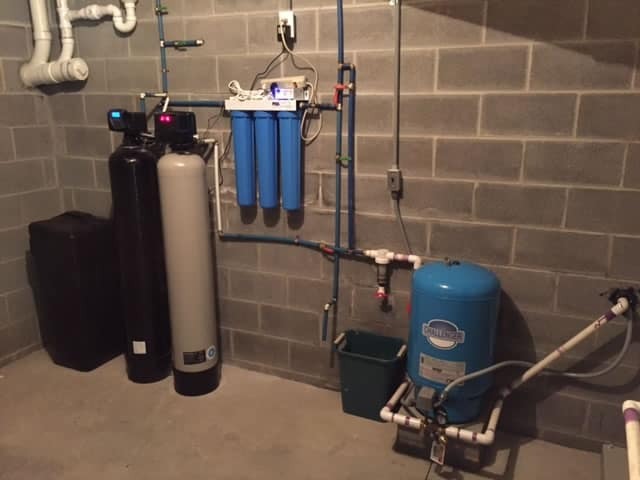 For variety of water filter installation services in addition to an abundance of well repair services look no further than Brown Well Supply, the oldest company in Rowan County. 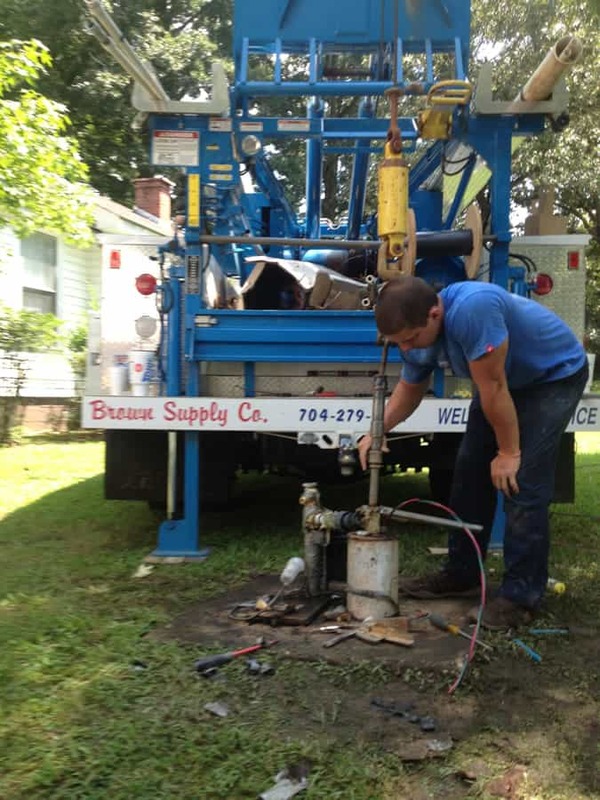 Brown Well Supply employs a team of fully trained and experienced technicians who are ready to take care of all of your well repair in Salisbury NC and the surrounding communities. The water from a well comes from a collection of permeable rock beneath the earth, which is called an aquifer. There are also three types of wells. The first is a Dug Well, which is a rather shallow well. Next is a Drilled Well, which is created with a big drill bit. Lastly, there is a Driven Well, which is created with a huge spike that was driven into the ground, much like a hammer drives a nail. The water in private wells is not tested by the Government. It is up to the homeowner to take care of any testing or any necessary water filtration. When doing so, it is important to test for coliforms, nitrates, pH contaminants and any organic compounds that may be volatile. Routine testing is recommended once a year, although if any local water problems are reported, it is a good idea to test around that time. Since there are several components that go into the overall functionality of a well, it is not unheard of for wells to require some type of maintenance. Water pumps keep the well operating and typically last about 10 years. There could be other reasons for a problem and it is best to call a professional, especially since service calls are generally inexpensive. There is typically permitting required when it comes to drilling a new well in Salisbury NC, and that differs among municipalities. The company that is hired to drill the well usually handles any permitting issues. In some municipalities, permits are required for well repair. It is also strongly recommended that new wells be drilled after a home’s septic system is installed. Most private wells provide fresh drinking water, although there are some areas that have higher concentrations of minerals. Once well water is tested, a decision can then be made regarding the installation of a home water filtration system. Brown Well Supply can attend to all kinds of well repair in Salisbury, NC. 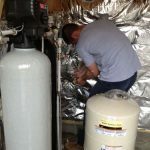 Relying on years of experience, our technicians can help install the water filtration system or water softener of your choice to ensure the utmost efficiency within your home. Just because you cannot see bacteria does not mean it is not in your drinking water. There are also microscopic parasites that live in water without being detected. Heavy metals like lead and aluminum can also infiltrate drinking water and the same goes for pesticides. Water filtration systems provide protection from the painful effects that can be caused by all of those pollutants. It can also protect families from any human errors at the nearby water treatment plant. Cooking instantly becomes upgraded with the use of a water filtration system. This is especially true for homes with recent well repairs or well drilling Salisbury NC. Using tap water to boil any kind of food will suddenly have a fresher taste and coffee or tea will also taste better. The filtration removes that heavy metallic taste that can inundate all types of food and drinks prepared in your kitchen. Traces of chlorine can be found in drinking water, which is intended to eliminate bacteria. However, side effects of that chlorine have led to health problems, such as heart attacks, certain types of cancer, and birth defects. Keep in mind this water is also used every time you take a shower or brush your teeth. Our skin needs water, but water that is poor in quality will actually enhance the levels of toxicity in the body. Purified water will allow the body to flush out toxins, which will result in healthier, more appealing skin. Buying bottled water can add up to be a costly expense over the course of a year and adds to the world's plastic problem. 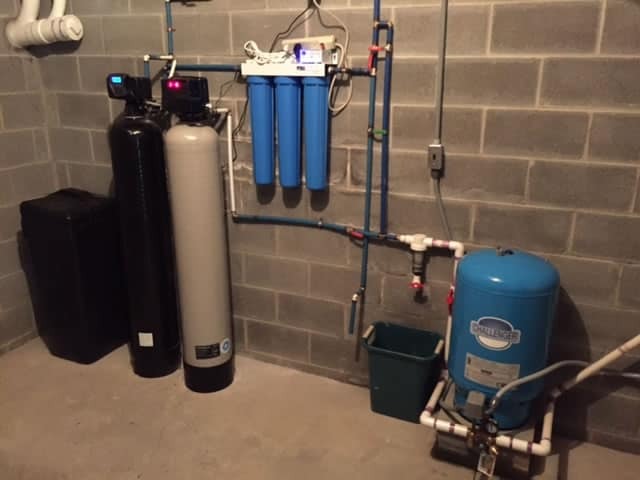 A water filtration Salisbury NC system can save you a lot of money in the long run and it also means you will not have to clutter up your refrigerator and pantry with water bottles. 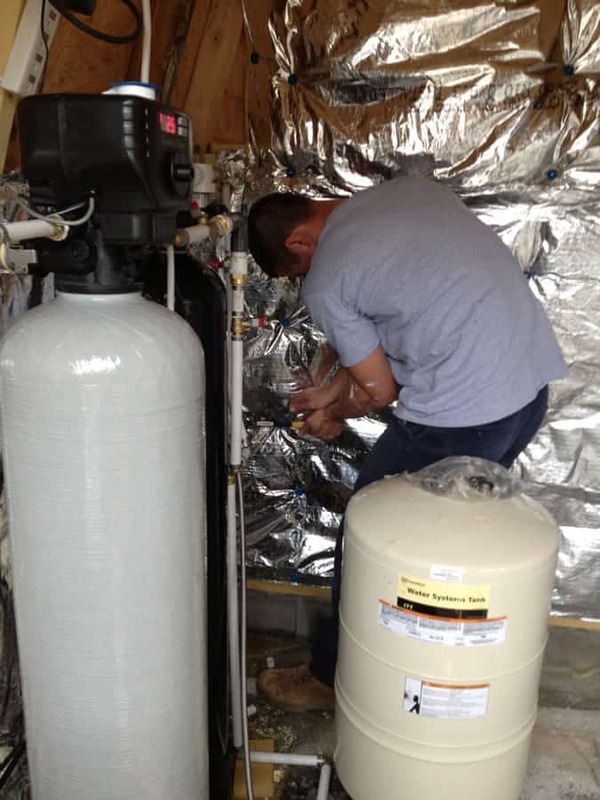 Brown Well Supply is ready to install the water filtration system of your choice in your home. Customers can choose from Whole House Water Filtration Systems or Reverse Osmosis Water Filtration Systems. There is a wide selection that always comes with top quality workmanship at Brown Well Supply. Homeowners are given copies of these reports, although some can be withheld until full payment is made to the company entrusted with well drilling Salisbury NC or repair. Within a well report is the location of the well, its depth and diameter. The water level is also noted along with the driller of the well and name and address of the property owner. The local geology is also noted and this applies to the local materials and any information that is relevant in that area. Well reports are compiled into well logs and more government agencies are now putting together databases filled with these records. There are even online searches that are capable of producing well reports within various states. This can be particularly useful when attempting to sell a home. Trying to sell a home that is without a water well report could be problematic. Mortgage companies often ask for that information as part of their approval process. Buyers will also frequently ask for well reports when looking at a home and, without one, they may simply move on to the next listing. Not being able to produce a well report could cause some trust issues among prospective buyers. It could mean the potential for future repairs as well as questionable access to water. In the event that some type of well maintenance services are required, well reports can be tremendously useful. Part of well repair requires looking into various components and if one was recently replaced, chances are that is not the problem. This could save well repair companies time which means saving the customer money in service costs. It is important to note that water quality is not part of well reports. Testing your well water falls into an entirely different category. Samples should be tested once repair or drilling is complete, although those findings will not be found within a well report. 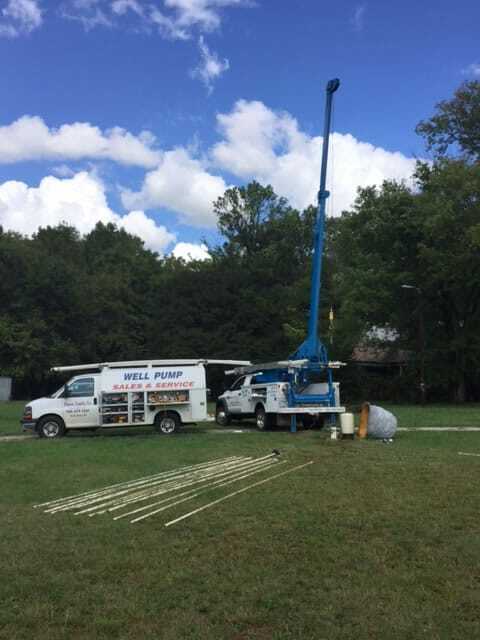 Brown Well Supply can see to it that you have a detailed well report with any type of well drilling and repair in Salisbury, NC and the surrounding areas. For well supplies and well prospecting, contact the team of experienced professionals at Brown Well Supply. 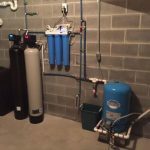 Speak to their experts about water filtration and water softeners Salisbury NC option available to best suit your home or business. When water just trickles out of the faucet, it is usually a sign that there is something amiss with your well. Pumps that are still functional, but are beginning to fail will often produce a low amount of pressure. However, there are other causes and it’s always good to examine them before removing the pump. Low pressure could also be caused by a bad pressure tank, which can be found within the well house. A failing pressure tank is typically caused by leaks. A leaky pipe could also produce the same effect. Check the above ground components before looking at the pump. There are a number of reasons why a pump could be responsible for constantly running water. The potential glitches could include a faulty shutoff switch or a broken sensor. There is also the possibility that the pump is cycling by turning off and on during times when it is not being used. Older pumps can run into problems with producing ample amounts of water. This can also be an indication that the tank has become waterlogged. If left unresolved, a tank with excess water can actually break a pump. By checking the tank right away, you could actually avoid having to also replace the pump. Local residents can call on Brown Well Supply Salisbury for a quick and affordable fix. This is the most obvious way of knowing there is a problem with your well is by turning on faucets that do not produce the flow of water. The pump’s function is to transfer water from the well. This could be caused by a clog in the line or bad fuse. It is important to check the other signs first as something as simple as unclogging debris will get the well up and running again. Experiencing one of the issues mentioned above? Rest assured! Brown Well Supply can fix all kinds of problems with your well pump and make sure your home has the convenience of running water. 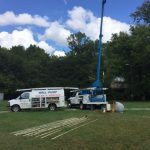 We also provide well drilling Salisbury NC and repair, well maintenance services and continue to remain the top well repair Salisbury, NC has to offer. As beneficial as it can be, too much fluoride can have adverse effects. In children, excessive fluoride can cause colic while adults can suffer the effects of arthritis, Chronic Fatigue Syndrome, gum disease from ingesting too much fluoride. Another side effect is fluorosis, which is an extreme discoloration of the teeth. Other potentially more severe effects are still being studied and debated. However, it is without doubt that children are at a higher risk for overexposure to fluoride. Their size and body weight makes them more susceptible to side effects as they are not as tolerant of the same quantities as adults. In accordance to their guidelines, the U.S. Environmental Protection Agency currently recommends that children younger than 9 years of age avoid drinking water with fluoride levels exceeding 2.0 mg per liter. This means the excess fluoride needs to be filtered out with something like a reverse osmosis system or bottled water would need to be provide for the child. It is not uncommon for those with a private well to experience problems with fluoride. That is due to the fact that the fluoride is found in the environment. When there is an abundance of fluoride, its compounds actually mix in into well water as the water makes its way over rocks and soil. When there is suspicion that well water contains fluoride, the first step is to have it tested. If that test comes up positive, the next step is to install a water filtration system. 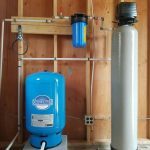 There is a long list of benefits that come with the installation of one of these systems as it will ensure that you and your family have access to clean, healthy water. Even if fluoride levels are not exceedingly high, it is a good idea to install a water filtration system in your private well. Natural sediment, chlorine and other contaminants will also be removed and provide sound peace of mind for your family. It is also important to note that Britas do not remove fluoride, nor will boiling or freezing water. 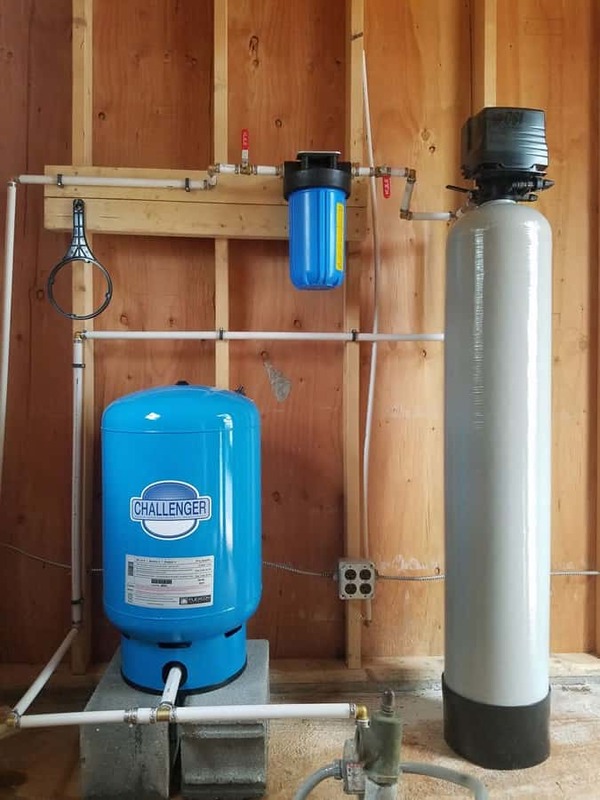 Brown Well Supply provides well maintenance services and that includes installing water filtration systems to ensure your family has clean and healthy drinking water. For well prospecting and well drilling in Salisbury, NC, contact the professionals at Brown Well Supply today. Extended periods without rain can cause problems to your well. This will be evidenced by water sputtering out of your household faucets. Another sign involves the clarity of your water. If it is a bit murky or tastes different, there is probably a need for well repair. When this occurs, it usually means that the well pump will have to be lowered as it is not placed at the right depth to contend with extended droughts. Wells that are a little older often contain steel piping, which are susceptible to leaks. When a leak occurs, your pump will continue to turn on and off, even when you are not using your water. This problem could also mean your water system needs to be serviced. The first signs of discolored water should prompt a call to a professional well repair service. This is often caused by the location of the well as some are drilled in areas that have high accumulations of sulfur, iron and other kinds of minerals. The discoloration is a sign of those minerals. The best way to remedy this problem is to install a NC water filtration system. This is the most obvious sign of a problem and it could be due to a variety of issues. Some of the causes could be a blown circuit breaker, a clog in the foot valve, or a broken check valve. In colder regions, it may simply be a case of frozen pipes. In business since 1868, Brown Well Supply Company features a team of highly trained technicians who can take care of all types of well repair. 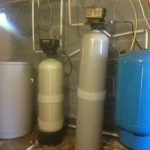 When you experience any issue with your well, water filtration or water softener systems, contact Brown Well Supply for all your repair needs.